We can all be grateful for the University of St. Thomas’s habit of commissioning new works; they have amassed 55 new pieces since 1992, and have made a significant contribution to the literature for symphonic wind ensemble. 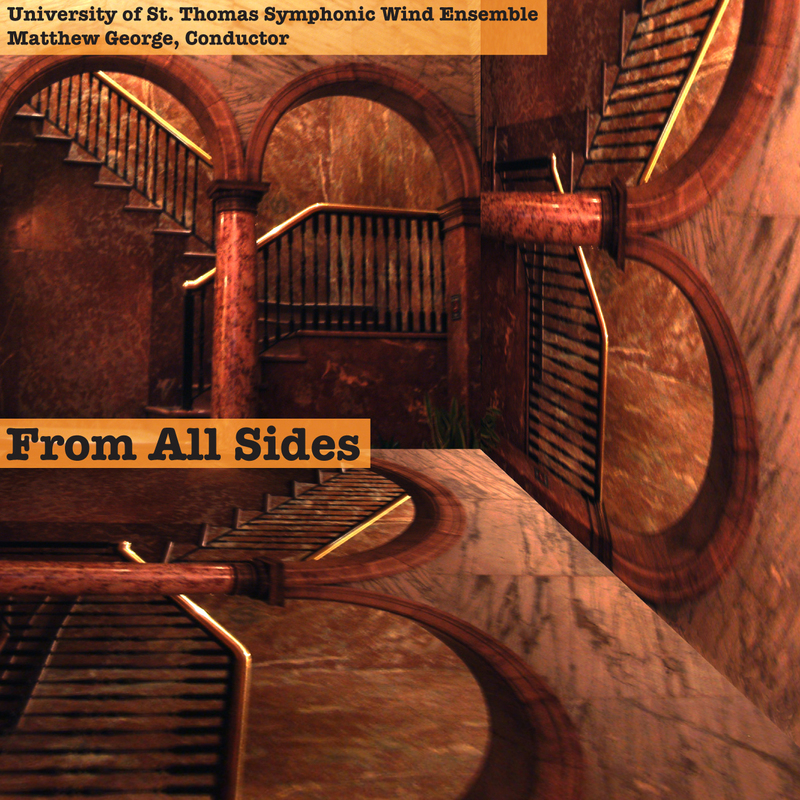 They are embarking on recording these new works and here is their third volume, From All Sides, an international collection that sets the bar for the genre. Australian Ralph Hultgren opens the program with an evocation of modern disconcerting life: “Your mind spins, ducks and dives, leaps and plunges, and seems to Whirr, Whirr, Whirr!! !” Luis Nani’s “Lost Forest” brings attention to the deforestation of his native Argentina, and offers a song for the hurting land. English composer Kit Turnbull waxes nostalgic about growing up in London and the sights that he loved as a child: from Buckingham Palace guards to toyshops and the circus. Chinese composer Chen Qian’s title track, Ambush! From All Sides translates traditional Chinese painting techniques (as used to depict the well-known battle of Gaixia) into the world of band music: colors, spaces, and spontaneity bring the scene to audible life. The UST Symphonic Wind Ensemble is again under the direction of Matthew George and the continuing series is required listening for anyone who has ever played in band (or wanted to).